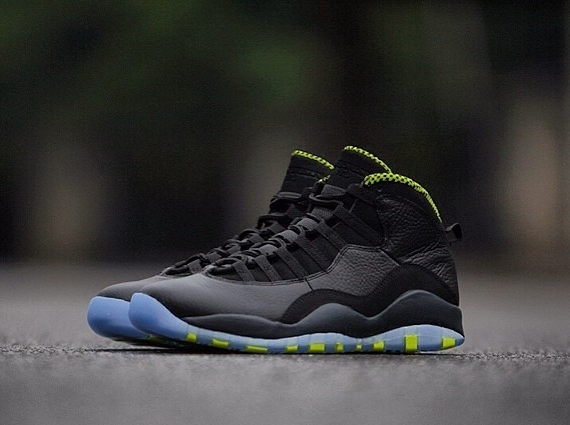 We’ve never seen black and venom green on a pair of Jordan Retros before, but the colorway found on this Air Jordan 10 still manages to feel pretty familiar. 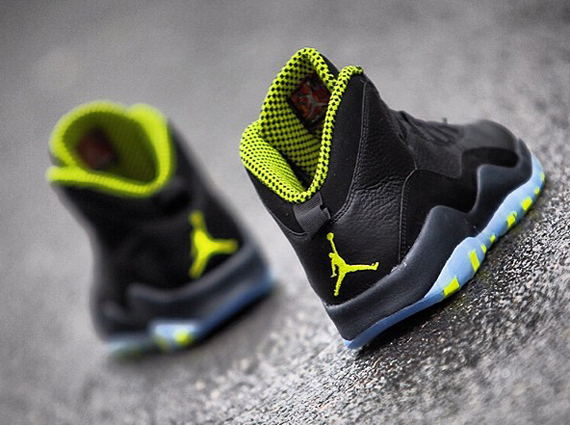 The Air Jordan 13 “Altitude” definitely helps out with that, as does the gigantic black and green “XX8 Days of Flight” set that hit back in 2013. This is far from a reproduction of either though, with the icy outsole treatment along the bottom probably marking the biggest departure from the aforementioned formulas. 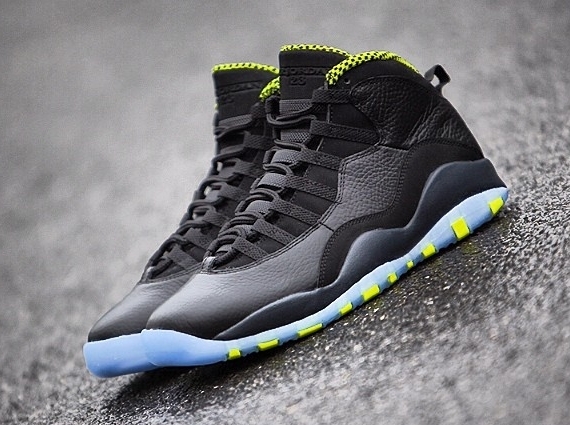 Continue reading for extra Jordan 10 “Venom Green” shots and grab them on their March 22nd, release date if you approve.